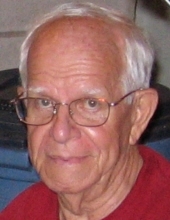 MILWAUKEE – Albert P. (Al) Behrens, age 84, passed away at home on Thursday, March 28, 2019. Al (lovingly known as Buzzy to family) was born in Menomonee, Michigan, on August 23, l934, and raised in Marinette, Wisconsin, the son of Albert Behrens and Edna Buchman. Al graduated from Marinette High School at the top of his class in 1952, then joined the U.S. Army. After receiving an honorable discharge, he returned home to manage the family resort in Marinette. Al then attended the University of Wisconsin, Madison, graduating in 1961 with a major in Economics and minors in English and Chemistry. There he met the love of his life, Mary Winiger, of Prairie du Sac, Wisconsin. They married on July 9, 1966. Mary preceded Al in death on Oct. 22, 2003. Al and Mary moved to Milwaukee to raise their family and begin their careers. Al first worked as part owner of Infratrol, then moved on to become Vice President and Controller of Hatco Corporation, where he was employed until his retirement. Al truly enjoyed traveling with his wife, children and friends who also loved excursions. He and Mary purchased a cottage near Prairie du Sac on Lake Wisconsin in 1973, and spent as much time as possible there boating, fishing, skiing, cooking, playing cards and entertaining family and friends. Al was an avid Badger fan, including football, hockey and basketball, and regularly returned to Madison to attend sporting events. Al will be remembered as a consummate entertainer who loved inviting family and friends to join him for any and every social occasion. There was often a card game, especially a wicked match of Sheepshead, to join. He was a lifelong patron of the Milwaukee Symphony and Milwaukee Repertory Theatre. He was also known for his passion for making comprehensive lists and spreadsheets of absolutely everything, lest any detail be missed or forgotten. Survivors include Al’s son, Tim Behrens, of Grafton, and daughter, Amy (Brion) Schaefer, of Evansdale, Iowa; five grandchildren, Alex, Harleigh, Seth, Benjamin and Bode; two sisters, Helen Kleeman, of Milwaukee, and Marlene Waugus, of Germantown; sister-in-law, Jenifer Winiger, of Madison; long-time friend and caregiver, Stella Love, of Milwaukee; and many other relatives and friends. Al was preceded in death by both parents; his wife; one sister, Jean Bannow; four brothers-in-law, Philip Winiger, Don Waugus, Lauren Bannow, and Tom Kleeman. A Memorial Service will take place on Friday, April 5, 2019, 12:00 PM at the Mueller Funeral Home & Crematory (979 N. Green Bay Rd. ), Grafton. Visitation will take place on Friday, from 10:00 AM until the time of service. Memorials to the Alzheimer’s Association or the charity of your choice are appreciated. To send flowers or a remembrance gift to the family of Albert P. Behrens, please visit our Tribute Store. "Email Address" would like to share the life celebration of Albert P. Behrens. Click on the "link" to go to share a favorite memory or leave a condolence message for the family.